A hand-held GPS unit uses data received from a system of satellites to locate where you are on the ground and where you have been. To go to a position you will need to enter GPS coordinates into your GPS unit. The coordinate system used by a GPS unit invovles the same latitude and longitude coordinates that have been used on maps for centuries. Latitude is the distance in degrees of a location north or south of the equator. Maximum latitude value is 90 degrees North or South. Longitude runs east and west of the Greenwich longitude line–the first meridian. 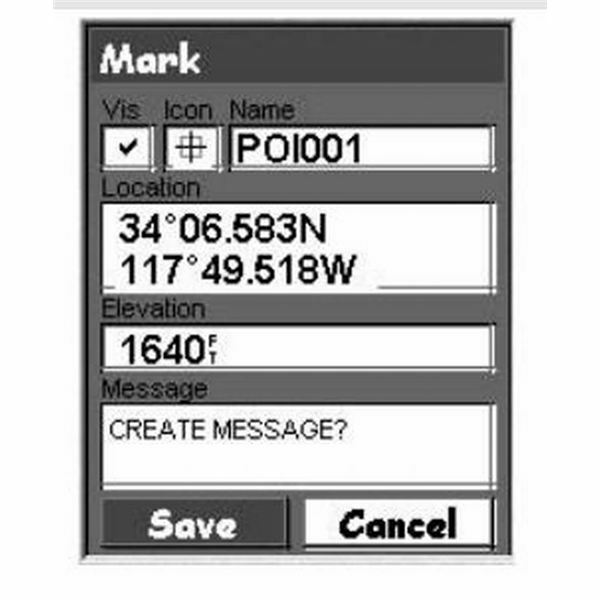 To enter a location into your GPS unit, you will need the latitude and longitude–"lat/long"–coordinates in the proper format. Latitude and longitude coordinates can be written in several different forms. The classic form is writing the coordinates in degrees, minutes and seconds, such as: S34° 54' 24", W56° 11; 54". Each minute is 1/60th of a degree and each second is 1/60th of a minute. The form known as GPS style coordinates converts the seconds to decimal places after the minutes, example: S34 54.404, W 56 11.898. Decimal style coordiates puts both minutes and seconds as decimal and uses a minus sign for south latitude and west longitude. Here is the same place in decimal: -34.906725, -56.198308. A handheld GPS unit is set up to use the GPS coordinate style. If the coordinates you want to enter are in another style, you can either change the coordinate style in the GPS unit or convert your coordinates to the GPS style. You can change the coordinate format used by the GPS in the System or Preferences menu of the unit. To convert coordinates online check out my previous article about getting accurate coordinate conversions. With most GPS units you cannot call up a blank position and enter coordinates. The approved solution is to use the unit's Mark function to save your current position, then edit the saved location or waypoint and enter GPS coordinates for the location you want entered. Editing involves highlighting each section of the coordinate and using the Up and/or Down keys on the GPS to change the coordinate numbers. Save the location when you have finished entering and you now have a new location stored in the unit. Check the entered latitude and longitude carefully to make sure you entered the coordinates correctly. One wrong digit can put the location off by hundreds of feet to hundreds of miles. If you have a GPS unit that can be connected to a personal computer, entering locations can be simplified, especially if you have a list of points to enter. Follow you units owner's manual directions for the formatting of coordinates, the type of file and how the GPS uptakes new data.